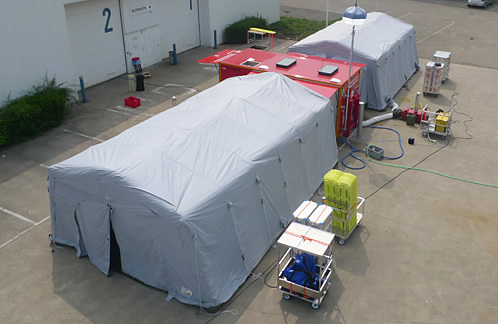 This decontamination unit is a fully self supporting “wash street” for people that have been exposed to dangerous biological or chemical substances. It is fitted out with all of necessary equipment and materials needed during this type of emergency. The system is extremely effective and very time efficient, time is crucial in this type of situation. This innovative unit has developed in cooperation with (military) specialists in treating the casualties of chemical warfare. For more detailed information please ask.